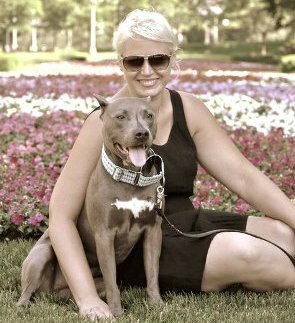 Meet Greta Glimm, owner of Dog & Kitty in the City and Featured Business Owner at SCORE Chicago this week. Learn how she started, and what tips she has for your success. Dog & Kitty in the City is your destination for everything your urban dog and kitty need to live fabulously. I have a business background with both sales & retail management as well as a passionate desire to help animals in need. Through rescue and volunteer work as well as community outreach I strive to educate people with regard to healthier lives for their pets. Our clients are Chicago residents who are looking for top quality food and accessories for their pets. Dog & Kitty in the City LLC will celebrate its grand opening Saturday June 1, 2013 from 10 am-7 pm at 2622 N. Halsted Street in Chicago’s Lincoln Park neighborhood. The event will include treat samples for dogs, a raffle for 2-$50 gift cards, 15% off purchases of $50 of more (excluding food but including special orders), reusable bags for the first 25 guests, and an on-site photographer to capture candid pictures of customers and their pets. Inventory management! I want to have something for everyone yet I only want to carry brands I believe in. Write things down. I used to think I had a great memory, but with millions of ideas floating around my head I have to be more diligent about notes, to do lists and reminders.